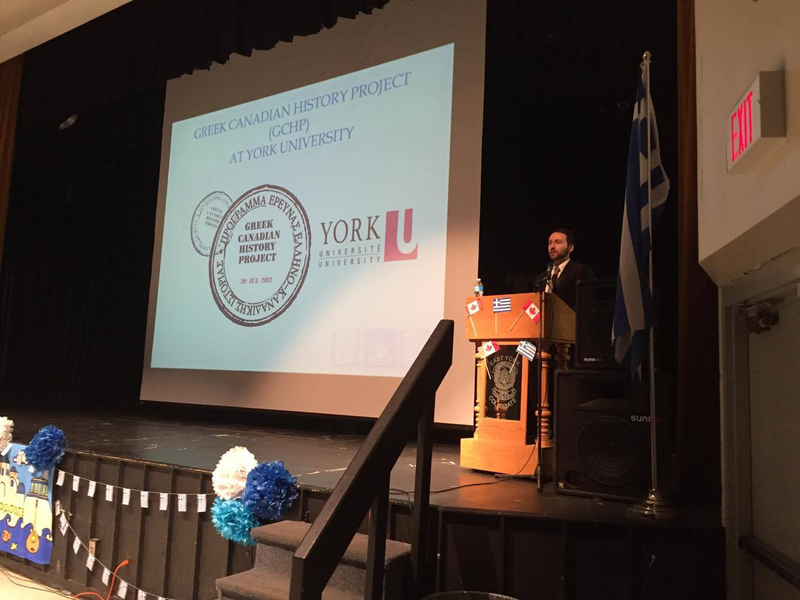 The GCHP was honoured with the opportunity to present the key note address at the Toronto District School Board‘s Second Annual Greek Heritage Month Festival! The key note, “Touring Greek Immigrant History in Toronto, 1864 – Present”, took the audience members on a “walking tour” in downtown Toronto, highlighting historical people and landmarks in the city that have helped to shape the Greek immigrant narrative. Audience members were thrilled to learn about the first Greek immigrant, Dr. Petros Constantinidis, who arrived in Toronto in 1864. The walk also included Teresa Stratas’ star on Canada’s Walk of Fame, along with historical photos of Greek celebrations taking place in front of Old and New City Hall. We would like to take the time to thank the Toronto District School Board, the Greek Heritage Month Steering Committee, and everyone who took the time to speak with us at the event.